An Arkansas man has been convicted of malicious wounding for beating a black man during a white nationalist rally last year in Charlottesville, Va.
Jacob Scott Goodwin, 23, will be sentenced in August. The jury is recommending 10 years in prison and a $20,000 fine, local TV station NBC 29 reports. 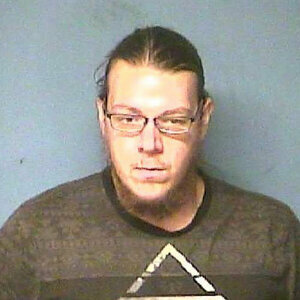 A photo provided by the Lonoke County Sheriff’s Office shows Jacob Scott Goodwin of Ward, Ark. 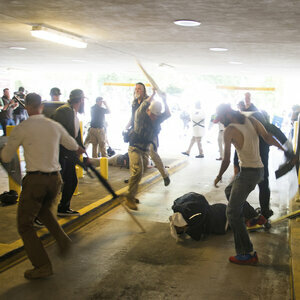 On Aug. 12, 2017, the day of the Unite the Right rally, Goodwin was one of several white men who attacked DeAndre Harris, 20, surrounding him, kicking him and hitting him with poles as he lay curled on the ground in a parking garage. Harris was left with multiple injuries. Goodwin was wearing a helmet and goggles and carrying a shield. 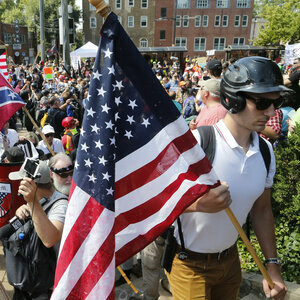 Photos and videos from that day show he was also wearing white nationalist and white supremacist symbols: the logo of a neo-Nazi group, as well as a numerical code for Heil Hitler. The attack was captured on video, and in the weeks that followed, New York Daily News columnist Shaun King organized a crowd-sourced investigation to identify the attackers. Goodwin was one of the men identified through that effort. Three other men are currently facing charges. Goodwin had argued that he acted in self-defense after seeing Harris swing a flashlight at a man who is a state-level chairman of a white nationalist group. (That man previously pressed charges against Harris, who says he was aiming at a flagpole the man was holding; Harris was acquitted.) 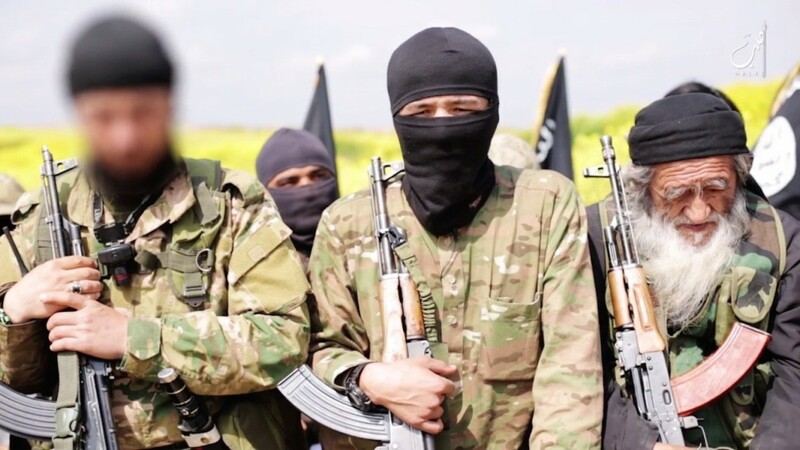 A group of men “stormed Harris immediately after that confrontation, beating him to the ground with poles in a parking garage,” NPR’s Colin Dwyer reported. Harris testified that he was trying to run away from the men. The jury found Goodwin guilty after two hours of deliberation. “For the entire trial, neither the prosecutors nor the defense attorney questioned Goodwin about his possible affiliation with any white-supremacist groups. At the rally, Goodwin wore two pins, one bearing the number 88, a code for ‘Heil Hitler,’ and a second with the logo of the Traditionalist Worker Party, a white-nationalist group. “But during his closing arguments, [Goodwin’s attorney Elmer] Woodard suddenly raised the issue. ‘They want you to convict this man because he’s white, and DeAndre is a black man,’ he told the jury.